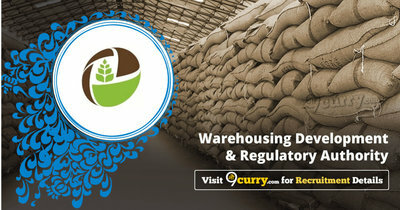 WDRA Recruitment 2019: Warehousing Development and Regulatory Authority / wdra.nic.in is conducting recruitment processes to fill 2 vacancies. As of now, there is one recruitment drive going on for Solution Architect & Senior Software Engineer/ Software Engineer/ Junior Software Engineer Posts. WDRA Recruitment 2018 - Job notification for Accountant, Asst, Director (Marketing & Credit, Legal), Section Officer (Admin. & Finance, Tech. ), Private Secretary & Other Posts in WDRA, New Delhi on Deputation Basis. Applications are invited by Warehousing Development and Regulatory Authority (WDRA) on or before 03 Apr 2018 (Extended till 03 May 2018) for 8 vacancies. WDRA Recruitment 2018 - Job notification for IT Experts Posts in WDRA, New Delhi on Contract Basis. Applications are invited by Warehousing Development and Regulatory Authority (WDRA) on or before 14 Mar 2018 for 2 vacancies.